Our children's little minds are like sponges that are thirsty for knowledge. Give them the tools they need to grow. Sponge Minds Preschool is here to help start them on the right path by making it FUN & EASY to learn. 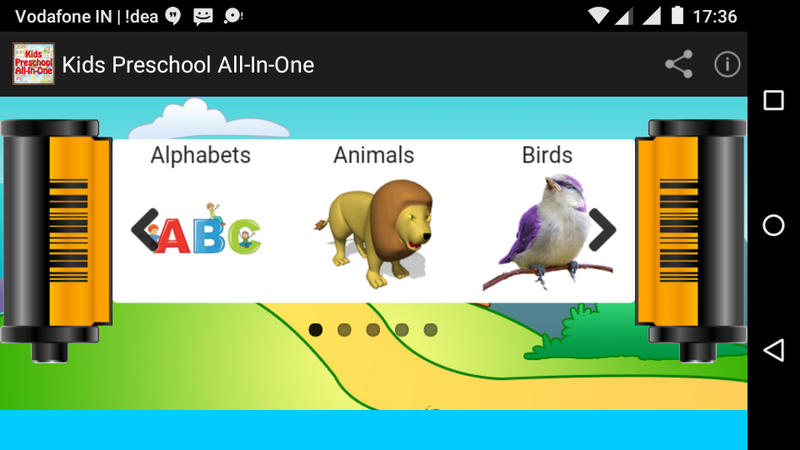 Preschool All-In-One is great app for kids 2 - 5 years old, whether they're just getting started, or going into Kindergarten. 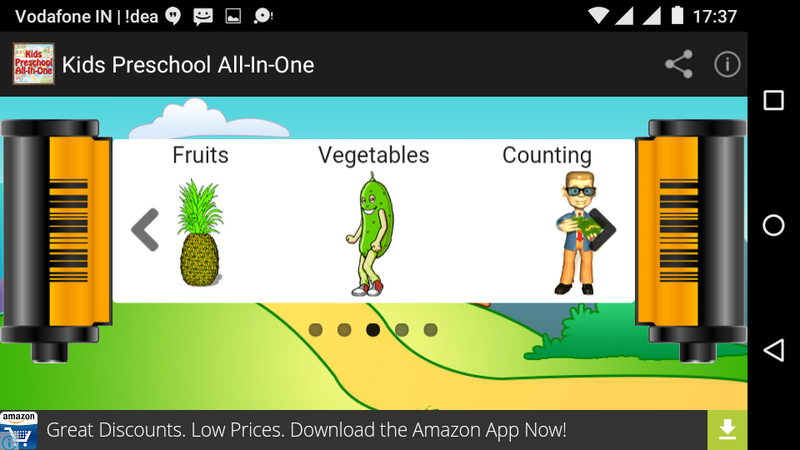 Your child can learn about Alphabets, Counting 1-20, Addition, Subscripton, Division and Multiplication to cover basic mathematics, know about colors and shapes, Also learn about Fruits and Vegetable to be able to recognize them with beautiful images. Your child can see the Animal images and listen the name in audible format to be able to recognize them problem. Your child will also get a chance to learn about different vehicles. 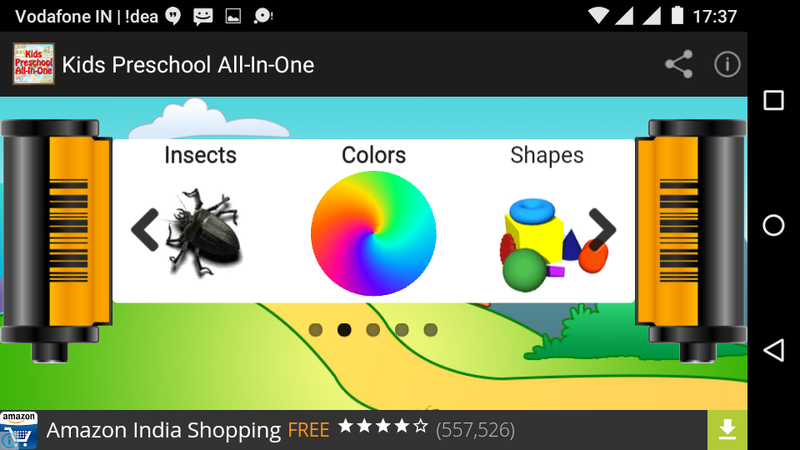 Although it's perfect for preschoolers, many children of kindergarten age and in the early grades also enjoy playing with this app as it contains Auto play options to slide educational material automatically and watch beautiful images that represent particular thing and also listen to sound of it. This preschool game stimulates your child's mind in a variety of ways. It helps them improve concentration, memory retention, object recognition, hand-eye coordination, and logic. 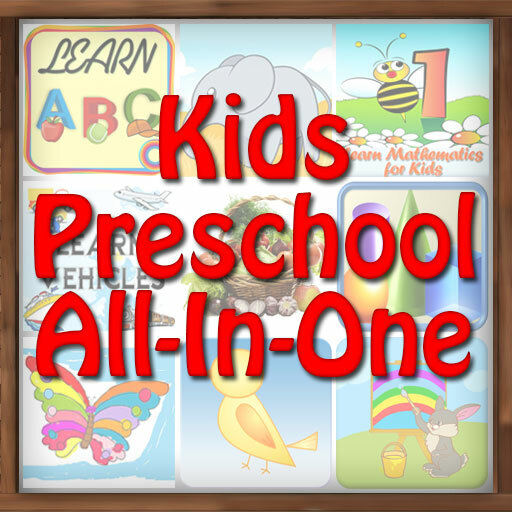 Preschoolers learn to recognize the letters of the alphabet and the sounds of the ABC with the guidance of a pleasant narrator, as well as counting, sequences of, and differences between numbers. They can also practice identifying, assigning, and matching many different shapes. Another segment of this educational game improves your baby's reaction skills. This preschool app provides an entertaining brain workout for your child.